Avid Assurance contracts make you are eligible for free software upgrades during the term of that contract. If you are already in Avid support, continue to the "Avid Download Center" section below to learn how to get your upgrades. for immediate assistance 301-476-8015 or submit a proposal request. (1) Create or Log into your Avid Master Account via the web. Using this method you can download the Media Composer installer.exe from any system with internet access, then move the installer to your Avid system if they are separate systems. Having the installer also allows you to better the installation process. This method also gives you easy access to the Avid Dongle updater file if you are running a dongle version of Avid. If you are running Avid with a dongle, then after installing the Avid update, you will need to update the dongle using the dongle updater file that is available in the download section. If you purchased a new system from Ocean System and you didn't already have a Master Account, we created a Master Account and registered your Avid Serial Number (SN) using the email address that was provided on your Ocean Systems order with a password of ("Password"+ the last four digits) of the phone number on your order. 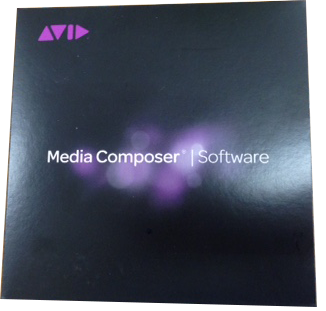 Your log in account should be located in your Ocean Systems folder that shipped with your system or in a clear bag that holds the Avid Media Composer Software activation sleeve. If you purchased a system upgrade from Ocean Systems with a new workstation and renewed your Avid support to get the latest version, then we installed the latest Avid version but since we didn't have your Avid dongle, you will need to download the dongle updater and update your dongle to run the latest version. To do this, log into your Avid Master Account to find the dongle update file and instructions. If you are attempting to upgrade your Avid software on your own on old Ocean Systems CPU, be aware that system from 2008 such as the 2696 motherboard and FX1500 graphic card will not support the latest updates. because Avid SN was already registered to another person that has left your organization and you don't know their log in information, you need to have Avid reassign the Avid SN to you. (2) Another option for staying updated is doing it from Avid Application Manager that you can launch locally on your system and which can run as a service in your task bar. This method is very similar to the Adobe Application Manager. Simply launch and log into the Avid Application Manager and it will show you what version you are eligible for given the term of your support contract. Then from the Application Manager you can install that version. This page give you access to the knowledge center, read me notes, etc.